The City of Vancouver released a 2-D model today showing the potential for devastating effects of an oil spill, citing Kinder Morgan's failure to create a proper analysis of the effects of a potential oil spill themselves. The modelling, done by Genwest Systems Inc, found that a spill in Burrard Inlet would quickly impact nearly all communities surrounding the Inlet. In all modeling scenarios, between 50 per cent and 90 per cent of the oil would reach the shorelines within hours, causing significant impacts to human health, the environment and the economy, a summary of the study released by the city says. The City of Vancouver has created a library of evidence on its website showing research and analysis being submitted for its participation in the National Energy Board's hearings on the Kinder Morgan pipeline expansion. GenWest Systems Inc. used GNOME, a 2-D oil spill model to show the movement of oil following an oil spill. Each dot in the animation represents 2,000 litres of oil. 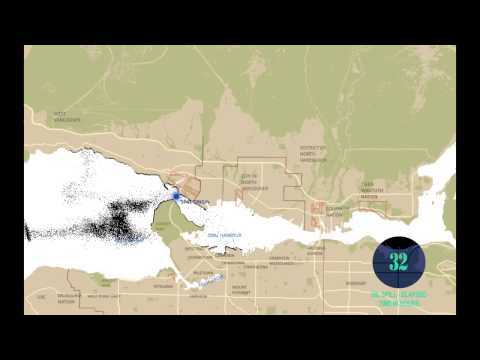 The Tsleil-Watuth First Nation released their own video of what an oil spill would look like. Burnaby Mayor Derek Corrigan cited "severe risks" that would extend beyond Burnaby's borders in the case of a major diluted bitumen spill. Corrigan has vehemently opposed the Kinder Morgan pipeline expansion. 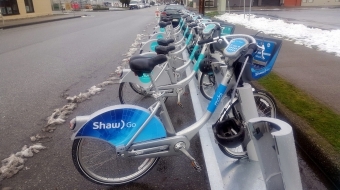 For more information, go to the City of Vancouver's website.